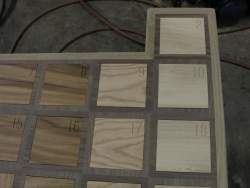 An expanded, improved, interactive and up-to-date version of this is at http://theodoregray.com/PeriodicTable/ . 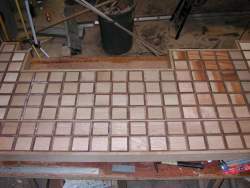 In the well over a century since its invention by Dr. Mendeleev, the world has consistently failed to notice the word "Table" clearly contained in the name "Periodic Table", and has insisted in printing it on paper, hanging it on the wall, putting it in the back of chemistry textbooks, and generally doing all kinds of things with it that having nothing to do with being a table. 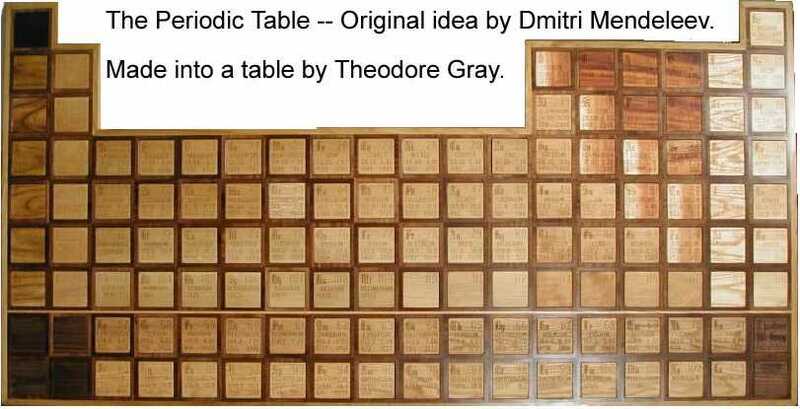 Theo Gray set out to remedy this obvious misunderstanding by creating a Periodic TABLE, at the same time filling the Wolfram Research front end group's need for a conference table for their office space. It joins Theo's elegant, innovative, and of course angular "Triangle Table." The Periodic Table was trickier to construct, due to sources disagreeing on the melting point of iron and such. It is still a work in progress, since we hope to safely store samples of all samples that can be stored safely. Currently, we need samples of Beryllium, Scandium, Hafnium, Vanadium, Niobium, Ruthenium, Cobalt, Iridium, and Boron. Small sealed samples are desired of Strontium, Barium, Yttrium, Lutetium, Osmium, Rhodium, Phosphorus, Arsenic, Tellurium, and all of the Lanthanides except Cerium. Of the Actinides, we have Am. We hope to get reasonably safe Th, Ur samples (I remember as a kid handling a 5kg brick of Ur at the Smithsonian). If anyone has any samples of unusual elements that they would like to contribute to the table, or if they know of any simple methods for the extraction of said samples, Ed would love to hear from you. 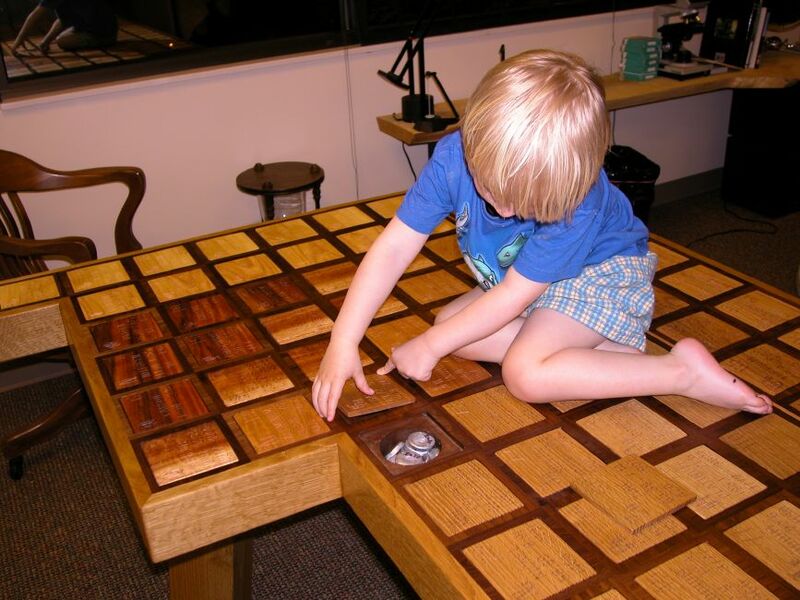 Theo is for now retiring from unusual tablemaking,and getting back to Mathematica 5 development. Ed, on the other hand, is planning a Nonperiodic Table. A picture poster Periodic Table was made by Jensan Scientifics. Any of the pictures above can be seen in an enlarged view by clicking on them. The pictures below are only presented in one size.